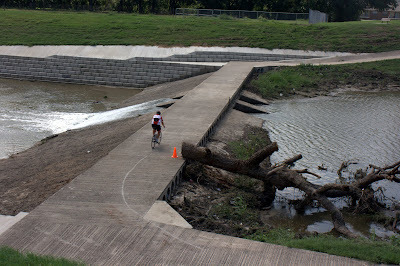 Tree at low water crossing at Bellaire Dr.
Ramp at low water crossing near Gateway Park. Water still covers most of the low water crossings, especially those downstream from downtown, but the water will probably recede sometime this weekend. Gateway Park has reopened. 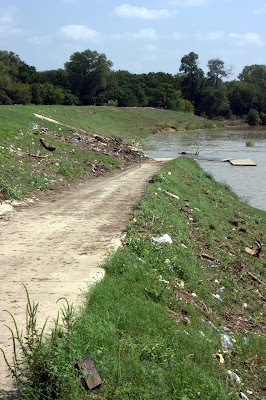 It will probably take longer to get the Marine Creek section of the trails (near & under the Stockyards) cleaned of mud and debris since heavy equipment (front end loaders) can get onto that section of trail. They'll be an update on that stretch of trail next week.